In order to make sense of government, or anything, you have to be able to understand it. That starts with clear language and thought, not for reasons of pedantry but because without them you will not be understood. Regular readers will know, and newcomers may have spotted, that this blog has a whole page on one aspect of clear communication, the Jargon Bin. But there’s a lot more to communicating clearly and occasionally I’ve had a go at wider aspects of what some call gobbledygook. My blast at the UK Civil Service Competency Framework was such an example and found particular favour: indeed it’s the most read post of all time on this blog. Tucked away at the end of it you’ll find a reference to the late, great Sir Ernest Gowers who said almost everything a public servant needs to know about what he called plain words. Occasionally I spot other documents that exemplify some of the key (oops) aspects of gobbledygook. Yesterday the Scottish government issued a press release that does just that. It’s worth quoting in full. Education Secretary: Tackling educational inequity in everyone’s interests. Nothing is off the table in developing evidence-based work to tackle educational inequality, Education Secretary Angela Constance has said. A National Improvement Framework, following best practice from high-performing systems around the world, will be established to gather data that shows not just what is working in Scotland, but why, for whom and in what circumstances. “If we are to want for every child what we want for our own children, we need an education system that is fair and which provides excellence to every child irrespective of their background or circumstances. “So let me be clear, in pursuing a shared ambition to ensure that education delivers every child the best opportunities to excel, nothing is off the table. Let me equally be clear that the teachers at that table will be fully-qualified and well-trained – and they must be joined by parents who feel fully-engaged and well-informed about how they and their children are being supported to realise their aspirations. “In the six months since I was appointed Education Secretary, I have seen so many excellent examples of work in our schools, at a time when we have record exam results and a drop in those leaving school with no or few qualifications, record numbers of school leavers securing positive destinations and record proportions of Scots from the most deprived areas entering higher education. But we know that we can and must do more. “It will never be acceptable for poverty to be an excuse for failure. Parents, teachers, academics, local and central government – all owe it to the children of Scotland – to rise to the challenge of inequalities that persists within our education system. Masochists who dip into my No thanks! blog will know I have views on Scottish independence/separation. Angela Constance is an SNP politician. Sadly she and her civil servants prove that in this respect at least they are no better than many of the unreformed perpetrators of gobbledygook who lurk in government throughout the English-speaking world. This is a reprint of my article of the same name that the Guardian Public Leaders Network were kind enough to publish earlier this week. It had a good response – on the Network itself, on Twitter, and on Facebook. Many of people’s suggestions will be added to the complete Jargon Bin over the next week or so. Even more suggestions will be appreciated. Enjoy. I do it. You do it. All public servants do it. I’ll rephrase that. Our ongoing public service career path progression necessitates the utilisation of sector-specific linguistic shorthand. Jargon. Don’t you love it? I love it so much I collect it. It’s not hard. It pours out of the public sector every day – from politicians, leaders, managers, professionals, even communications staff. In publications, committee reports, press releases, statements written and spoken, on the telly and on the radio, and all over the web. Here’s just a small part of the dictionary of jargon I maintain. First the jargon and then what it actually means. as in “retail voids”, or empty shops. We all use jargon without thinking. It’s fine as a technical shortcut with colleagues. But please don’t use it when you communicate with other people. It often uses more words than needed, obscures meaning, leads to ambiguity and misunderstanding, patronises and annoys people, helps makes public service ineffective and doesn’t do your reputation any good. OK? Has my evidential base been sufficient to engage with you as public sector stakeholders mindful of sector-wide reputational issues? You know it ain’t gonna work when people can’t express themselves clearly. I’ve had a go more than once about the inability of senior people in the civil service to express themselves in plain English (for example, in the civil service competency framework). Now another example comes from the very heart of how the government communicates – the government communication network. They’re changing how they work. To a layman like me it looks like reorganisation and centralisation, no doubt to good purpose. But the announcement of the change, in the name of civil service head Sir Bob Kerslake, continues the tradition in government of management gobbledygook, ironically this time since this is about and for people whose job is to communicate. So everything’s going to be better now. I am determined that we get this right and will be following developments closely. No ‘Good luck,’ no ‘I know you’ll all do well.’ Just ‘I’ll be watching closely.’ That couldn’t possibly be read as a threat, could it? Doubtless the annual performance review of Alex Aiken, Executive Director of Government Communication will be covering the issue. 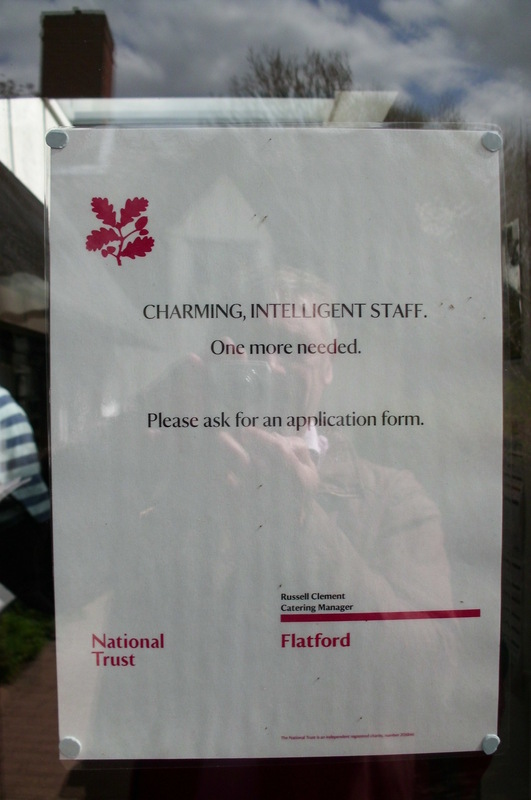 The best job description/recruitment ad ever? Thanks to Paul Summers for alerting me to The Best Employee Handbook Ever. The succinct Nordstrom statement of what the American company expected from its employees puts to shame all those long-winded, turgid piles of guff shoveled in the direction of indifferent workers. I highlighted a British example recently – the UK Civil Service Competency Framework. Oh, and their cakes are delicious too. I’ve just caught up with the Civil Service Competency Framework 2012-2017 and I smell – well, pretentious nonsense. The idea is simple and makes sense: a guide for civil servants which tells them what they should be good at and how they should behave. Have I expressed that clearly? I hope so, and I hope the great Sir Ernest Gowers, author of The Complete Plain Words, would agree. I suspect the authors of the new ‘competency framework’ – ‘Civil Service Human Resources’ – have not read Gowers. First, different things are expected of different grades of civil servant. Fair enough. I would expect more of Sir Bob Kerslake, head of the civil service (salary £200,000 ) than an administrative assistant (otherwise known as a ‘Level 1 AA,’ starting salary £12,000). Even if something sensible lurks behind each of these requirements, this is no more than bureaucratic jargon – management-speak..
And up to fifty-one behaviours? On top of whatever technical requirements the job has? What a wonderful industry of training and appraisal beckons for ‘human resources’ to develop, implement, monitor and review. If this weren’t enough, the fifty-one behaviours are grouped into ten competencies, including ‘collaborating and partnering,’ ‘building capability for all,’ and ‘delivering at pace.’ The competences are then grouped into three ‘Clusters’ – setting direction, engaging people, and delivering results. People who [deliver value for money] well base their decisions on evidenced information. Inevitably, the framework is linked to the civil service’s ‘performance management system.’ I warned against performance management when I wrote about the 2012 Civil service reform plan. The competency framework does not lessen my concerns. I hope what I write speaks for itself. 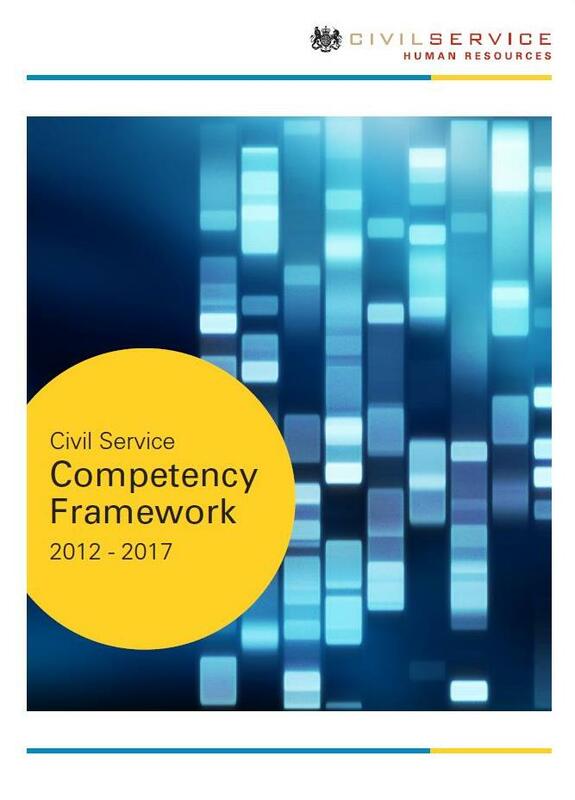 In case it doesn’t I’ll spell it out: the competency framework is badly expressed and represents a wrong approach to managing the civil service. He that will write well in any tongue, must follow this counsel of Aristotle, to speak as the common people do, to think as wise men do; and so should every man understand him, and the judgment of wise men allow him. It’s a lesson ‘Civil Service Human Resources’ and their masters seem not to have learned. My thanks to the excellent Dragon Fairy on Twitter who alerted me to this document.